THE SOULFUL ONE: Call her Uganda’s Adele, and even though she may not like it, Apio Moro has a soulful voice. In an industry marred by competition, the artiste has stuck to singing in her mother tongue. 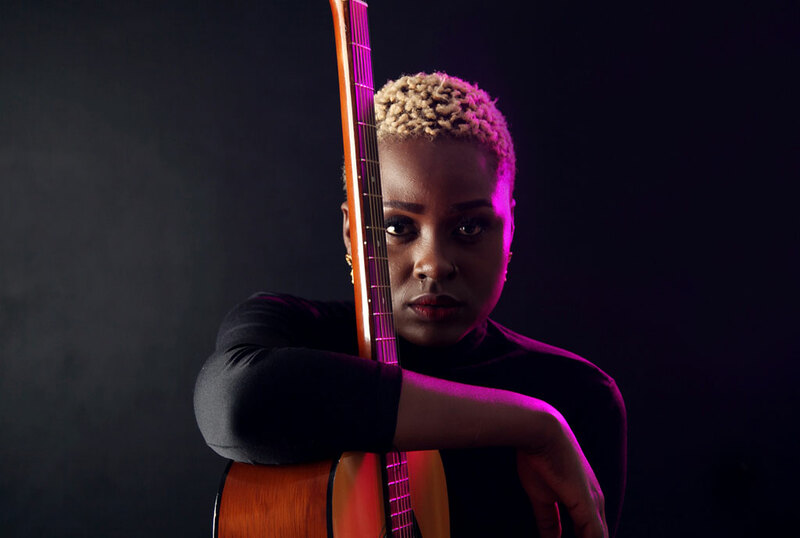 Give Samantha Lillian Apio a guitar and she will become someone else; singing in her mother tongue, Japadhola, she will fall in love, break up and overcome addiction in one go. But of course, when Apio is performing, she will not be Lillian nor Samantha, in fact, the only time she has been one of those names was at the time she collaborated with Kenyan duo Amos and Josh on their single, Kupe. But since she found her voice as a Neo-Soul Afro artiste, she has adopted the moniker Moro for differentiation purposes. “Any girl can be Lillian or Samantha,” she says, adding that Moro means ‘some’, thus, when her name is mentioned as Apio Moro, it literally means ‘some Apio’. Apio comes from Tororo and while forging a career, she has seen all and probably more than many local acts go through, from going against the family to do music, joining a talent search, a group and later going solo and changing genres. She auditioned for NTV’s Talent XP and did not win but did not give up that when chance presented itself, she hopped onto the wind and was on yet another televised audition. “I was part of the artistes that auditioned for Rated Next,” she says. That was the second season of the show that also featured Winnie Nwagi, Janzi Band’s frontman Pages, Hudson and Charles Sekitoleko. Alongside one Lillian Nabuuma, Tasha and JJ, Apio was one of the girls Ronnie Mulindwa tapped to create a revamped Obsessions. Apio, however, did not stay with Obsessions for long, usually falling out with the others over creative differences. The result was Kupe, a song whose video she would go back to shoot months later. “That trip to Nairobi opened doors,” she says. It was at that time that she started working on her debut collection with the producer and, of course, the result was Chuny Adech, an EP that featured songs she had written for about three years. Most of the songs were straight out of her experience and two of them, Ajok and Kiisa, are even serialised; for instance, Ajok talks of a lover starting a relationship with another girl online, while Kiisa follows up the story to the point of the guy meeting the online bae for the first time. During an intimate concert in Kampala, the performances that had her explain almost all songs easily got her the tag, ‘Uganda’s Adele’, a label she hates with a passion. With her Chuny Adech, Apio had divorced from the song genres she had performed at singing competitions and at the Obsessions, her sound was organic, mostly played on a guitar with the surroundings as backup and above it all, she was singing in her native Japadhola. “Through the competitions and the Obsessions, I had never been comfortable with Luganda,” she says, noting that on one occasion, she had the freedom on Rated Next and had done a rendition of Jamal’s Ononsonyiwa in Japadhola. Now that she was flying solo, she thought she could dive in without fear. As a solo artiste, Apio has graced stages such as Blankets and Wine, Fete De La Musique, Bayimba International Festival of the Arts, SoFar Kampala and last year, she was the only artiste to share a stage with Grammy award-winning songstress Joss Stone during her Total World Tour. The two would later collaborate on a rendition of Apio Moro’s song Pariye. She has gone on to perform in both Kigali and Nairobi. Tonight, Apio will release Choore, her second album. Unlike the first one that was majorly performed in Japadhola, she notes that this one will create a balance between her lingual and English. Like all album releases, she will host a listener’s’ party later today at The Square in Kampala.